(TORONTO) – Toyota is committed to continuous improvement and in bringing cutting edge innovation to society, spending over $1 million an hour in global R&D efforts. Toyota's extensive in-house safety research boasts the Higashi-Fuji Technical Center in Japan, one of the world's largest experimental facilities in creating situations close to that of actual driving scenarios, and the recently opened Toyota Technical Center’s (TTC) new R&D facility in York Township, Michigan. This new campus handles TTC’s product planning and engineering design operations, and serves as TMC’s first collision-safety testing facility outside Japan. 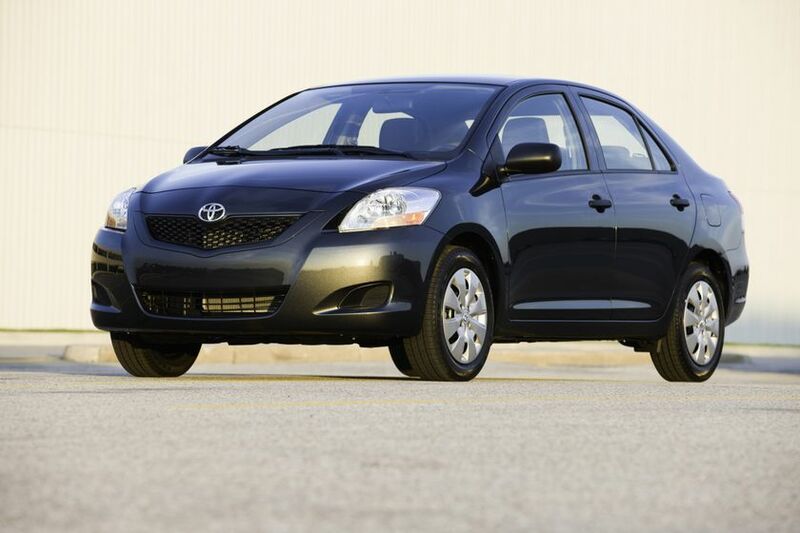 The 2010 Toyota Yaris is on sale at Toyota dealers across Canada today, with Manufacturers Suggested Retail Prices starting at $13,620 for the 3-Door CE Hatch, $14,750 for the 4-door Sedan with a trunk, $14,920 for the 5-Door LE Hatch and $20,180 for the 5-Door RS Hatch. Toyota’s approach to vehicle safety is designed to keep all occupants – and pedestrians - as safe as possible. Active safety features offer peace of mind, with familiar systems like Anti-lock Braking System (ABS), brake assist and Vehicle Stability Control (VSC) joined recently by innovative, cutting-edge technology like dynamic radar cruise control, impact-absorbing body structures like “crushable” cowl areas for pedestrian protection and pre-collision systems with driver monitor features. Passive safety features, too, continue to evolve, with Toyota’s research leading to the introduction of the world’s first rear curtain shield and rear-seat centre airbags. The Toyota Yaris offers Canadians a choice of 4-door sedan or hatchback models and makes loading friends and gear that much easier. 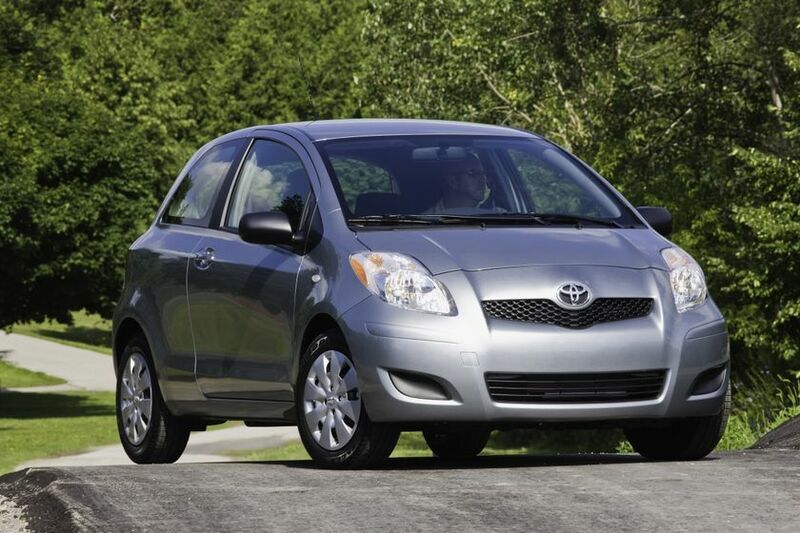 The 2010 Toyota Yaris is available as a 4-door model with a trunk, a 3-door hatchback, and two 5-door hatchback editions. Each is available with a choice of either five-speed manual or four-speed automatic transmissions, for a total of eight models. All feature energetic performance from a 1.5litre four-cylinder aluminum alloy block engine that kicks out 106 peak horsepower and up to 103 lb-ft of torque. Front wheel drive enhanced with highly responsive electric power steering, front suspensions equipped with stabilizer bars and a generous suite of braking technologies. Innovative engine technologies – including variable valve timing with intelligence and sequential multiport electronic fuel injection – help deliver power to the Yaris 4-cylinder while keeping emissions to a minimum. Coupled to Toyota’s proven five-speed manual transmission, Yaris delivers a combined city/highway fuel efficiency of just 6.3L/100km. Those looking for the convenience of an automatic will enjoy Toyota’s four-speed super electronically controlled transmission, which also delivers impressive fuel efficiency at just 6.4L/100KM (city/highway combined). Inspired design continues to impress, with standard features like halogen headlamps and intermittent wipers with mist feature. Inside, Canadians will find a surprising amount of space and comfort, with room for five adults and seats that are designed to ensure extra back support for those long road trips. The cabin is full of convenience features, including audio systems featuring MP3-capable CD players, tilt steering columns, plenty of in-cabin storage, dual vanity mirrors, digital clock, front and rear cupholders, and more. The Yaris cabin also gets great marks for safety, with dual stage driver and front passenger airbags, front seatbelt pre-tensioners, force limiters and adjustable B-pillar anchors, and anchor points for child seats. In addition, available options packages allow any model to be fitted with up to six airbags. The Yaris 4-door Sedan includes an auxiliary input jack for portable music players, a cabin heater featuring air filter and rear seat ducts, a driver’s seat with adjustable cushion height and recline, a 60/40 split fold-down rear seat with fold-down centre armrest, tachometer, UV glass protection, illuminated entry, child protector rear door locks, engine immobilizer, dual exterior mirrors with manual remote control, and more. Air conditioning may be ordered as a stand-alone option, or as part of two available packages. The Convenience Package, which adds air conditioning, power windows, power door locks with keyless entry, power adjustable heated mirrors, and more. Or get the Yaris Sedan fully dressed with the Enhanced Convenience Package, which adds all items in the Convenience Package, plus cruise control, front seat mounted side airbags, front and rear side/curtain airbags, Vehicle Stability Control and ABS with Brake Assist. The Yaris 3-Door CE Hatch features a rear seat with fold-down seat back, passenger side rear walk-in assist, tinted glass, easy access to the cargo space from the interior, foldable exterior mirrors, front splash guards and more. But its real attitude shines with a generous selection of available options packages, which let Canadians personalize their Yaris 3-Door CE Hatch to their specific personalities and budgets. These include a stand-alone air conditioning upgrade, an available six-disc CD changer, and three packages. The LE Package includes extra speakers for the audio system, a 60/40 split fold-down rear seat, power adjustable heated mirrors, rear window wiper/washer and more. The LE Convenience Package builds on this, with the additional convenience of power windows, power door locks with keyless entry and air conditioning, plus additional peace of mind in the form of Toyota’s Antilock Braking System with Electronic Brake Force Distribution. If fitted to automatic transmission models, this package also includes cruise control. For a top-line Yaris 3-Door Hatch, the LE Enhanced Convenience Package includes everything in the LE Convenience Package, plus the additional safety of front seat mounted side airbags and front and rear side curtain airbags. The Yaris 5-Door LE Hatch is even more convenient for those on the go, with separate doors providing easier access to the rear seats. Equipped similarly to its 3-Door cousin, the 5-Door LE Hatch features a 60/40 split fold down rear seatback as standard equipment, plus power door locks, tinted glass, easy access to the cargo space from the interior, foldable power adjustable and heated exterior mirrors, front and rear splash guards and more. Upgrades include a six-disc CD changer and air conditioning, available as a stand-alone option or as part of two options packages. The Convenience Package adds air conditioning, power windows, keyless entry, Toyota’s Antilock Braking System with Electronic Brakeforce Distribution and – on automatic models – cruise control. Additional safety is found in the Enhanced Convenience Package, which tops up the Convenience Package with front seat mounted side airbags and front and rear side curtain airbags. For maximum driving fun, the Yaris 5-Door RS Hatch is the way to go – a fully-equipped, all-in model featuring cruise control, an in-dash six-disc CD changer, air conditioning, front sport seats, a sliding rear seat with 60/40 split fold-down seat back that drops flat for maximum convenience and cargo capacity, power door locks with keyless entry, power windows, leather wrapped steering wheel and – on manual models – a leather-wrapped shift knob, front seat mounted side air bags, front and rear side curtain airbags, aluminum alloy wheels with wheel locks, foldable power adjustable and heated exterior mirrors, the distinctive RS full skirt package, rear spoiler and fog lamps.